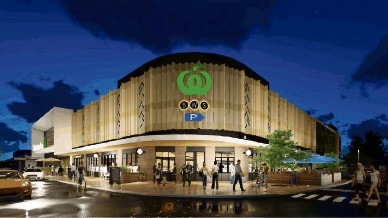 An artist's impression of the proposed Woolworths. A PROPOSED Woolworths store in Inglewood has the support of the City of Stirling. The supermarket is proposed for the corner of Beaufort Street and Eighth Avenue, the site of a Bunnings building which burnt down last February. The City has recommended the Metro North-West Development Assessment Panel approve the three-storey development subject to conditions. At Tuesday’s council meeting, Cr David Lagan said most people supported the plan apart from the liquor store, but the activation of the vacant site won them over. The proposal includes 193 car parking bays, 22 bike bays and end-of-trip facilities, a restaurant fronting Eighth Avenue, convenience store and fast food outlet. Infrastructure director Michael Littleton said the City was “unhappy” with the applicant’s traffic assessment and had some concerns about the impact of increased traffic on Clifton Street from 560 vehicle trips per day to 2200. Conditions would require the developer to provide the City with a traffic management plan to its satisfaction and revised plans removing the left turn and median island at the Beaufort and Eighth intersection, and that Inglewood Lane be widened by 1m.